Soak moong for whole night and blanch it into boil water till soft. Remove water from moong and keep aside. Heat oil in pan, add cumin seeds, hing, curry leaves, garlic and ginger paste and sauté for 30 seconds. Add turmeric powder, blanched moong and mix well. Add rec chilly powder, pepper powder, salt, amchur powder mix well. Cook for 2 to 3 minutes. Switch off the flame and add lemon juice and mix well. 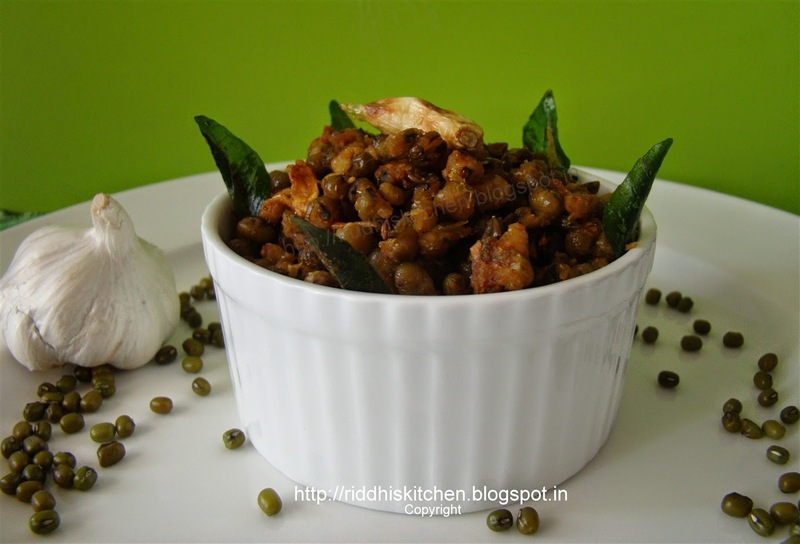 Serve hot with kadhi or roti.